Police report details can affect the amount of pain and suffering settlements. 1. If I Have an Accident is the Insurance Settlement Paid in One Lump Sum? Car accident liability insurance is designed to protect the policyholder from property damage and injury claims that may be caused by her careless driving. Generally these policies protect the policyholder from all elements of personal injury claims, including pain and suffering. Claimants and insurers frequently disagree about the value of pain and suffering during settlement negotiations and ultimately must try to predict what a jury would award if the claim went to trial. Pain and suffering represents both the physical and mental pain a person may have experienced because of an accident. It can include pain already experienced and pain the person is expected to suffer in the future. Because it is more subjective than lost wages or medical bills, it can be more difficult for both sides to reach a settlement amount for pain and suffering. Automobile liability policies generally provide coverage for pain and suffering claims. Typically referred to as "bodily injury liability," this coverage applies to pain and suffering damages, as well as claims for medical bills and lost wages. Bodily injury liability coverage typically has split policy limits. One number represents the most the insurer will pay to any one claimant, while the other number represents the maximum the insurer will pay for any claim, regardless of the number of claimants involved. Insurance adjusters and defense attorneys consider the evidence in determining what will be offered to a claimant for pain and suffering. They consider the severity of the injury and also whether the claimant immediately reported the injury to the investigating policy officer. They also consider whether the claimant immediately sought treatment for his injuries and whether the claimant has a history of similar complaints. The amount of property damage will weigh heavily into the offer made by the insurance company. Minor property damage typically results in small settlement offers. Insurance companies may use formulas in an attempt to standardize their settlement offers for pain and suffering. They typically take the amount of medical bills and multiply that amount by a number for pain and suffering that's determined by what juries have awarded for pain and suffering for that exact kind of injury. Then they add the amount of lost wages to reach the maximum settlement amount. 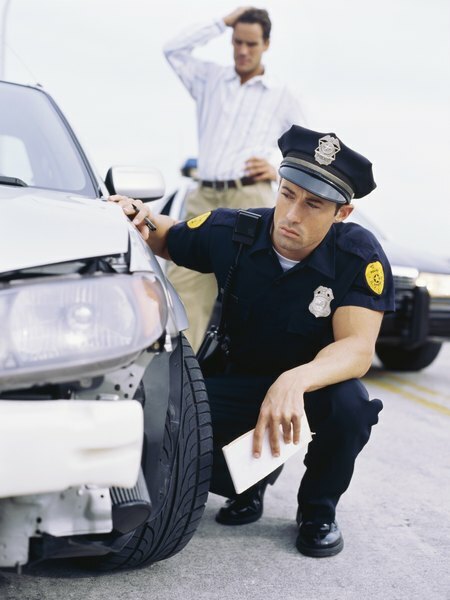 Thehartford.com: What is Bodily Injury Coverage?